As a company that takes pride in engineering, S&B are always stretching the boundaries for innovative products. Located in the Czech Republic, their ammunition is exported throughout Europe and the United States. 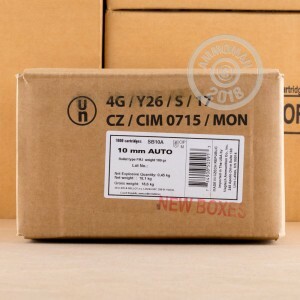 Pick up a few boxes of the 10mm Auto and show us what you've got! 250 rounds ran through my G20 not even one minor hiccup. Fastest shipping in the game. 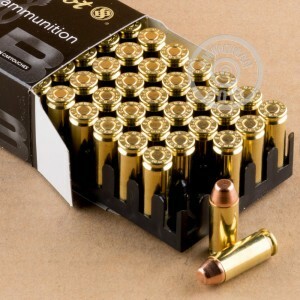 Ordered just a few boxes to try in my new sig elite,should have ordered more. 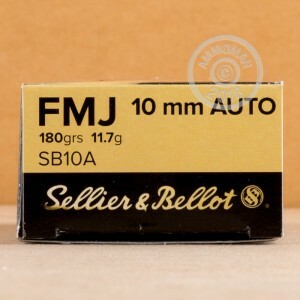 Very clean with no problems at all.Only took 48hrs.for delivery.Ammo man is hard too beat,will be buying more and S&B brass is reloadable,that a big plus. thanks again to all the people at Ammo man. Ran flawless no jambs ! !